So often lately, I hear “Carbs” referred to in such a derogatory fashion, that I wonder what they feel about themselves! Are they really upset? What about their self-esteem? Do they feel worthless, felonious even? After all they have allegedly led us all to obesity and disease!! Someone MUST play the devil’s advocate!! So here goes: I am going to make a case for “Carbs” and let you be the jury! Carbohydrates are one of the three macronutrients (“macronutrients are nutrients that the body requires in relatively larger quantities as compared to “micronutrients” required in smaller quantities). The three macronutrients being, Carbohydrates, Proteins, and Fats. Obviously, carbohydrates are required in a large quantity by the body. The three macronutrients are used by the body for different purposes. Proteins are used to build the cells of the body, and also act as channels that help transport of other materials in and out of cells, make up enzymes for digestion, etc. Fats are used to line important organs of the body for their protection, make up important hormones, act as solvents for some vitamins, act as emergency food stores and also keep us warm in colder climates. 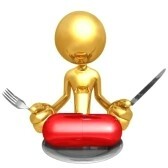 But for energy requirements of the whole body, as well as brain function, the body prefers carbohydrates. Almost all foods contain some amounts of carbohydrate in them. Major stores of carbohydrates are found in starchy grains, cereals, and underground roots and tubers (e.g. rice, wheat, oats, potato, etc.). The other foods that contain carbohydrates are all fruits and vegetables. These tend to be watery, and contain large stores of vitamins, minerals, antioxidants, and fibre that are required for our well -being. 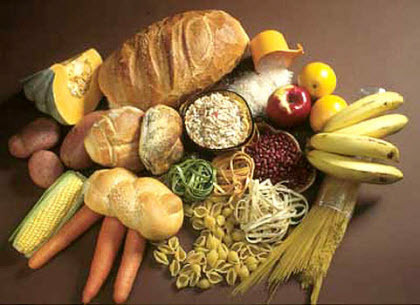 Carbohydrates are easy to digest, the easiest being fruits and vegetables which can also be consumed without cooking. They provide quick and usable energy, keep the brain sharp, the body disease-free, and the digestive system healthy. In fact, they should form a major part of everybody’s diet (some eaten without cooking, and some with light cooking). The carbohydrates that need processing or cooking, like cereals, grains, and tubers are also important, but should be consumed in slightly smaller quantities, as they are calorie dense, take slightly longer to digest, and can be stored by the body in very small quantities (large “chapatti, rice, and potato” meals will be converted to fats by the body for storage). 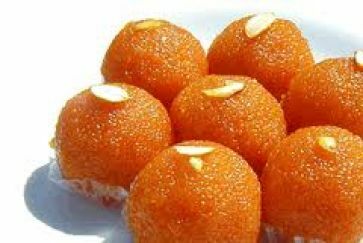 What needs to be completely eliminated from a “weight-loss” diet, are the calories coming from sugary snacks, desserts, biscuits and bakery items, breads made from “maida” or highly processed cereals. These are also carbohydrates, but completely “empty” of any nutrients, dense in calories and fats, and sometimes the dreaded “trans-fats”! They also tend to be devoid of fibre; and eaten at the expense of fruits and vegetables, can lead to other digestive problems. I would also like to point out that alcohol is also a modified carbohydrate, and so are all aerated drinks and other juices! For the sake of ease, all sources of carbohydrates are clubbed under the umbrella-heading of “Carbs”, but what most people really mean when they use this word, are “cereals”. Cereals too are the good-guys, just eat less of them, and make sure you eat them in the least-processed form. Finally, unless medically advised or essential for any other imperative cause, moderation and balance is recommended even while choosing foods and diets!